Hammer, as Faball, was the leader in the bowling industry for urethane technology in the 1980's. Hammer is taking that technology and merging it with the iconic Black Widow bowling ball line. The Hammer Black Widow Urethane takes the successful Gas Mask core and wraps it with a urethane coverstock. 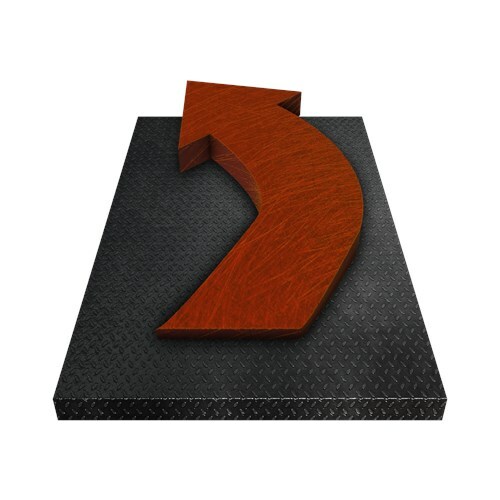 This combination offers the hook of the Black Widow with the predictability and consistency of urethane. 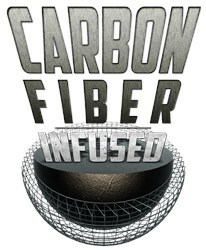 This bowling ball is Carbon Fiber Infused! 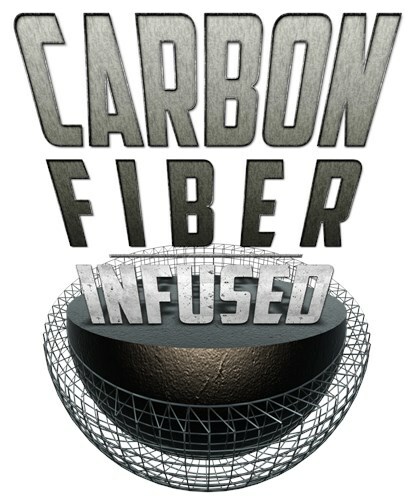 Carbon fiber is one of the toughest materials on earth. 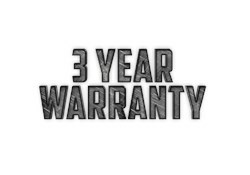 Hammer decided to add this material to the inner core of this ball for added strength and durability allowing them to offer an incredible 3 year warranty. WHEN YOU THINK OF A URETHANE NORMALLY STRAIGHTER ANGLES CLOSE TO THE GUTTER..WELL HAMMER SURE DID CHANGE THAT THEORY AROUND..THEY TOOK THE VERY POPULAR WIDOW CORE AND ADDED TO A URETHANE BALL AND REALLY HELPED WITH THE BACKEND DRIVE TO THIS BALL...WHEN THE REGULAR BLACK HAMMER URETHANE DOESNT WANT TO SEEM TO TURN THE CORNER THIS BALL WILL.. I DEFINITELY CAN COVER SOME BOARDS WITH THIS BALL TOO WITH A SLOWER BALL SPEED I CAN HOOK THIS BALL A FEW ARROWS IF NEED BE..BOWLED ON A LOWER VOLUME PATTERN RECENTLY AND I TELL YOU WHAT THIS BALL RECOVERED FROM A 10 BOARD AREA..FOR ANY TOURNAMENT BOWLER DEFINITELY A MUST ADD BALL TO YOUR ARSENAL! Good hook quality and hit hard in the pocket. I would get this ball in your arsenal. And this is a proud member of the Widow lineup, and also continues the greatest Urethane line up ever. One of the best balls on the market for when they are hooking, the best core every made with a urethane cover!!! Love this ball when they start hooking best urethane I have ever thrown! I'm loving this ball!! I used a pin up (65 x 5 x 35) layout on this ball. I'm a bowler that has a higher ball speed so the last two urethanes, while rolling great on burn or very short patterns, would struggle to make a turn when I would move into the oil. This ball lets me get in more and and I don't lose motion or carry. For me, this ball reads the mid lanes like my black urethane does but hooks 3 or so more boards than my purple. This ball can be used on a fresh house shot! Here are my thoughts on the Hammer Black Widow Urethane. This new urethane release features the Gas Mask core made famous in every Widow and Taboo release over the years. The Gas Mask core is wrapped by a 100% solid urethane cover. 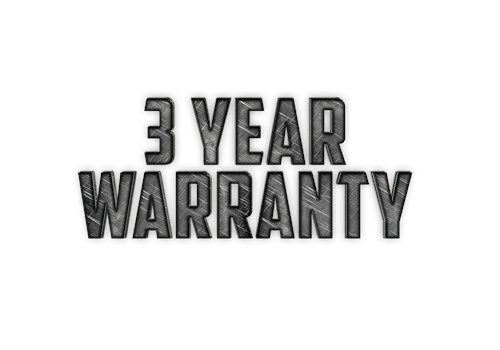 The Black Widow Urethane is solid black in color and comes with a 3-year warranty as do all Hammer releases. My vitals are the following: rev rate 405, PAP 5 9/16 over and 1/8 up. I have tried the new Hammer Widow Urethane on several different house shots, a modified USBC White pattern and a 36' sport pattern. I have left the ball at box surface which is 500 Abralon. In starting on a house shot, I threw new Widow Urethane against a similarly drilled Hammer Black Urethane. The Widow Urethane easily put me 8-10 boards further left on the approach compared to the original Black Urethane. As would be expected with a urethane at that surface prep, the ball picks up early but because of the core and flare potential, the ball continues very well and does not seem to be as sensitive to carrydown as some urethanes are. On the short pattern, as would be expected, the Hammer Widow Urethane controlled the front to back wet/dry and did very well. Similarly, on the modified USBC White, the Widow Urethane performed very well and blended out any over/under in the pattern. The key to the Widow Urethane at box surface, is to have enough oil in the front to make sure the ball can get down the lane. Short of that, my sense is the Widow Urethane is best suited for any fresh pattern where control of the lane is required. I also expect this ball to be in play on any short to medium length pattern again when the pattern is fresh or any wet/dry pattern. 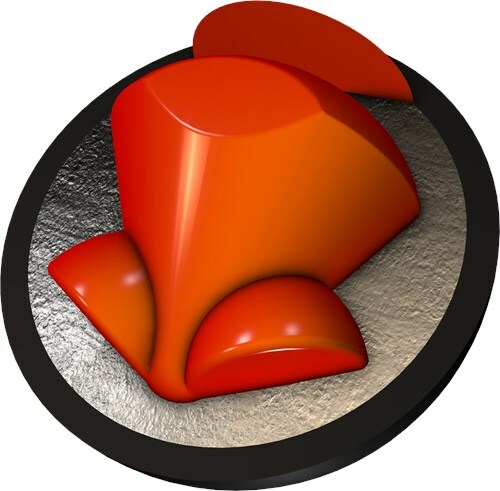 Because of the versatility of the Gas Mask core, I expect the Widow Urethane to be able to achieve different motions depending on layout within the capabilities of a urethane ball. The Widow Urethane is readily available. Go to your local pro shop for more information. Waited a long time for this Release!!! All I can say Is WOW!! Best Urethane made to date!!! It comes with the Legendary Gas Mask core wrapped around Hammer's 100% Urethane. This ball has great midlane read with a lot of hook for urethane. I have been able to throw this a large number of patterns and it always performs GREAT!! This is a must to have in anyones tournament bag, I found this to pick up the mids early than OG Black Hammer and have about 2-3 more boards of Hook than OG Purple urethane. This has got to be the best urethane ball on the market right now. The gas mask core is one of the most successful Hammer has ever used, and it certainly gives this ball some extra punch. It works well on drier conditions, or as a good down and in piece on medium patterns. I would recommend this ball for every serious player as part of their arsenal. I attempted to bring out my black widow when my forza ss wasn't finding the pocket and this ball performed perfectly I was getting amazing pocket carry but many ten pins when I got it farther outside. I personally would throw this on oil patterns like Eiffel Tower or Statue of Liberty. It will be fairly the same considering they are both Urethanes. 0 of 10 customers found this answer helpful. Did you? Yes | No Did you find this answer helpful? Yes | No Thanks for your feedback! 7 of 8 customers found this answer helpful. Did you? Yes | No Did you find this answer helpful? Yes | No Thanks for your feedback! Does the 13 lbs. Black Widow Urethane have the same core as a 15 lbs.ball? The Gauntlet will be more aggressive considering it is a High Performance ball whereas the Black Widow Urethane is a Mid Performance ball and it will not give you as much hitting power. 0 of 4 customers found this answer helpful. Did you? Yes | No Did you find this answer helpful? Yes | No Thanks for your feedback! which Hammer is recommended for dry lanes? I mean "NO OIL"
The best Hammer that is recommended for dry lanes would be the Black Widow Spare for it best performs on any type of lane conditions. I'm convinced the Hammer Blue is best for dry lanes. I say this because my son has the purple urethane, the black widow urethane, the widow spare and the blue urethane. He is a very good two handed lefty. Averages 214 at the age of 14. The Widow Spare is WAY stronger than the blue. Of course he has a high rev rate. The black widow urethane is by far the strongest ball. The blue is by far the most controllable and the smoothest throughout the three phases of ball motion. Having said that the purple and blue can become much more aggressive depending on layout. I know as I work in a pro shop. If you want the blue urethane to be as controllable as I've mentioned you may want to consider 6 3/4 Pin to PAP while not creating any side weight requiring a weight hole especially if you drill the weight hole closer to the thumb on the Y axis. 3 3/8 pin to pap vs 6 3/4 pin to pap on the purple results in a MAJOR change in ball motion. I know because I've done both and my son has thrown both. Layout will absolutely have as much to do with ball motion as cover with the Blue and Purple and I'm sure the same applies to the black widow urethane. The widow plastic with that huge core can be totally manipulated by layout changes. My son's hooks a lot even on fresh oil. Don't be deceived by the plastic cover. That ball will definitely cover some boards. I have a low rev rate, will this get back on most patterns? 2 of 4 customers found this answer helpful. Did you? Yes | No Did you find this answer helpful? Yes | No Thanks for your feedback! Yes, the 15lb will have the gas mask core. Does the 14lb come with gas mask core or generic core? The 14lb will come with the gas mask core. I have a low ball speed and low rev rate. I like to swing the ball. What would be a good lay out on this ball? Your best option would be to talk to your local proshop driller and explain what you want the ball to do. The ball out of the box is a duller finished ball made to read earlier on the lane. The drilling options will be able to tweak this only a small amount but there may be a pattern that would better help the ball to fit your style and your local proshop will know how to drill this. I am currently bowling on a fairly short oil pattern, but it's basically a reverse block. The middle 8-10 boards are oily and the outer 4-5 boards are oily from 5 to 15 are dry. I have a medium rev rate, average ball speed of 14.5-14.8. Will this ball work for me, without losing hit once entering the pocket? Yes, this ball should work for you! The Black Widow Urethane will be more aggressive than the LT-48, for the Black Widow Urethane is an upper mid performance ball and the LT-48 is only a mid performance ball. You can leave it as is, if you like. It is your preference. Due to the time it takes to produce the Hammer Black Widow Urethane ball it will ship in immediately. We cannot ship this ball outside the United States.